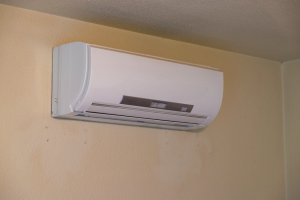 Everything You Need to Know About Ductless HVAC Systems | Robert B. Payne, Inc. Living comfortably without a heating or air conditioning system is near impossible these days. The constant changes to our local weather can make life uncomfortable. You need to come home and find a cozy, welcoming environment. But what happens if you’re out of space? When you have a home or business with limited space, then installing a brand-new HVAC system may be unlikely. So what are your options? Well, a ductless HVAC system is a go-to choice for just such situations. A ductless HVAC system (also known as a mini-split system) is more compact and easier to professionally install than a traditional central heating and cooling system. However, they provide the same level of power and efficiency that a full duct system delivers. That’s welcome news! So to begin, a ductless system is installed in two sets. The first is an outdoor component, which includes a cabinet and the primary system equipment. This includes a condenser, compressor, and evaporator. Typically, this cabinet requires little space – about as much as your standard heat pump. Then, we have the indoor unit. An indoor unit connects directly to the outdoor cabinet via cables, refrigerant lines, and drainage pipes via a conduit in the wall. The conduit requires a relatively small hole – only 2 inches in diameter – that leads outdoors. Overall, it’s a minimalist system that works without sacrificing power or efficiency. Efficiency – A ductless system is just as energy-efficient as a larger ductwork system. Often, these systems work better than a full-sized unit, where energy loss is a concern. Monthly Savings – Everyone enjoys monthly savings. Well, a ductless system provides significant savings of up to 30 percent or more per month. Zoning – Being completely ductless and more compact, you have further zoning options for indoor units. One unit can be installed in a new renovation, for example. Quiet – There’s already too much noise in your home, right? A ductless HVAC system will not add to the noise level. Such units operate quietly while distributing air throughout the home. The “noisy” components are within the outdoor cabinet, where they are still relatively quiet. Installation – We always recommend professional HVAC installation. However, know that a ductless system is easier to install, and we can have the job done promptly, and properly! Do I have ductwork already installed in my home? Do I need one room or multiple rooms cooled/heated? Do I know of a trusted professional installation service nearby? Installing a ductless system may be a smart investment for your property. Answer these questions to help you decide.